Starland Ballroom is owned and operated by AEG Presents/Bowery Presents. 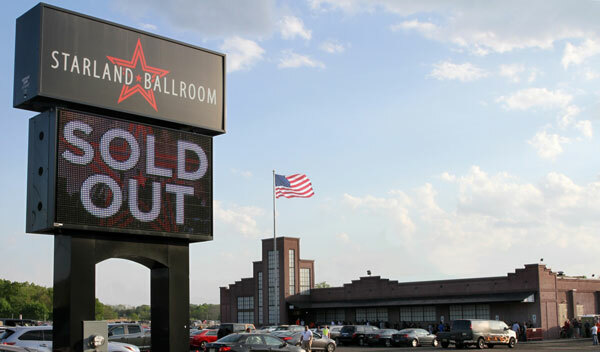 Since opening in 2003, the Starland Ballroom has attracted more than 1.5 million fans to concert events featuring everyone from Justin Timberlake and The Jonas Brothers to Jon Bon Jovi and Bruce Springsteen. Starland hosts an average of 115 events per year, ranging from rock, country, pop and everywhere in between. On October 29th, 2012 Starland Ballroom was forced to close it’s doors due to damage sustained during Hurricane Sandy. The severity of the damaged forced the venue to be remodeled and closed for 10 months. With this closure came the opportunity to upgrade the venue where applicable but not lose the look and feel of the original Starland Ballroom. The venue reopened on September 6th, 2013 and has been rocking ever since!